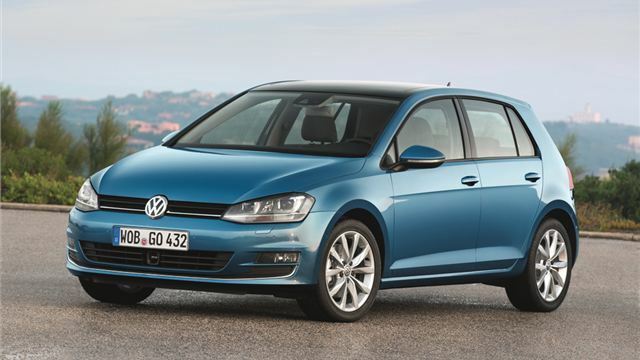 UK Car Discount has 10 brand new, unregistered MK7 Volkswagen Golf 2.0 TDi GT stock vehicles available for delivery in March on the new 13 plate. Vehicles will be first registered to the customer and delivered direct by supplying Volkswagen dealer. Vehicles will come with full manufacturers warranty, 12 Months VED and free delivery by the supplying dealer. For availability of colours and any other models call 0161 9463500. Limited numbers are available, see below for details. Cash Price £21580, Saving £1885 in solid colour or add £500 for metallic paint. Spec Includes: 17' Alloys, Discover Navigation System, Front Fog Lights, Front and Rear Parking Sensors, Folding Door Mirrors and Titan Black Alcantara. All deals based on 10,000 miles per annum.